Hailed by the Washington Post for his “dazzling expertise” on the podium, Donald McCullough is considered one of America’s pre-eminent choral conductors. He became the Director of the Jacksonville Symphony Chorus in 2012. In November 2014 he led the Jacksonville Symphony Chorus on its first appearance in Carnegie Hall. Previously, he was the director of the Master Chorale of Washington in the John F. Kennedy Center Concert Hall for more than a decade, developing a reputation for creating choruses that sang “with an innate sense of lyricism and musical poise” and “sensitive, scrupulous and heartfelt” (Washington Post). During his tenure with the Master Chorale, the 120-member symphonic chorus performed 16 world premieres, produced three nationally distributed CDs, and toured twice throughout Central Europe. The Chorale earned The Margaret Hillis Achievement Award for Choral Excellence in North America. 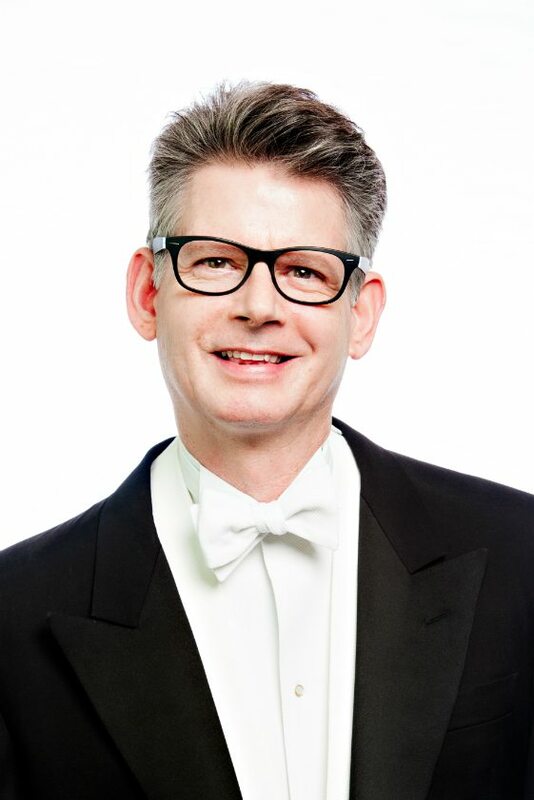 Previously, McCullough was the founder and music director of two Norfolk-based choruses: the Virginia Chorale and the Virginia Symphony Orchestra Chorus. He holds bachelor’s degrees in organ and vocal performance from Stetson University and master’s degrees in sacred music and vocal performance from Southern Methodist University. A native of Jacksonville, Fla., he recently moved to Atlantic Beach, FL, to focus on his expanding composing career.